With 2016 behind you, it’s time to take advantage of opportunities to grow your process serving business in 2017. If you’ve already set business resolutions or targeted a specific area for improvement, you’re off to a great start; but it’s important to make sure you’re not missing other opportunities to expand your business. This aspect of your Internet presence is crucial for growing your business in 2017. Local search marketing is becoming a very large part of a successful online strategy. As a business offering location-specific services, it’s important to adapt to the way people search. Make sure that you claim your local listing, submit your company to multiple directories and networks, and utilize available tools to help your business show up in local search results. Not sure you need to show up in local search? Check out this article for 10 reasons you need local search. Submitting to multiple directory and network listings will support your local search marketing. Think of each listing as a recommendation for your services. If ten of your friends recommended the same hairstylist, you would probably try his or her services first. 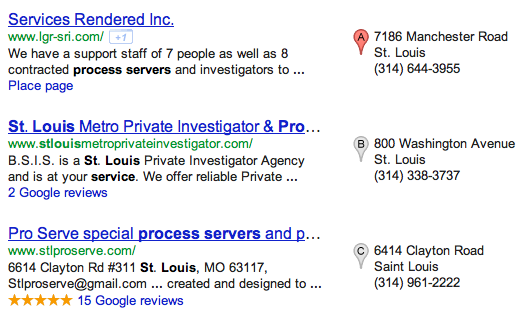 Directory listings tie into local search the same way. If your friends didn’t know a hairstylist in your area, just as people search for St. Louis Process Server you would search for your city and hairstylist. Though it’s an Internet search, people approach the situation with the same mentality. If the same company is listed three separate times, that’s usually the first person they call. Multiple directory listings will get you leads, but make sure you’re included in directories and networks to help turn those leads into clients. Joining a national or state association will never hinder your business growth. The main role of associations is to preserve the industry and make sure all process servers have the best opportunities to generate income. Association meetings are a great place connect with out-of-state professionals and get business tips from experienced, successful professionals. Consider joining out-of-state associations to expand your network. The Process Servers Association of Colorado (PSACO), for example, offers associate memberships. Networking with process servers across the country can help you generate a referral network. With nation-wide contacts, you can refer serves that are out of your area and hopefully take on clients from process servers in other states. If you prove to be a reliable and diligent contact, your network can become a great source of income for your business. A resource can be anything from an industry group to an article you’ve found helpful or even an app or computer program. Use whatever you can to get connected with your clients and job opportunities, and always have an eye out for programs and services you might find helpful. Sharing your resources with your colleagues will also help you get established as a leading industry professional. Social media is an excellent source for free marketing and networking, so make sure you set up a Facebook page and Twitter account for your business. Utilize social media to join industry groups, network with other professionals, and share related information and news. ServeNow hosts the Process Servers LinkedIn group and ServeNow Process Servers on Yahoo. Each groups allows members to share tips and refer jobs, and ServeNow posts Request For Proposal (RFP) notifications in the Yahoo groups. Without a website, or even with a dated website, you might be stunting your growth potential. Even with referrals, trusted network listings, and a spot in local search results your potential clients will likely check your website before contacting you. Music, animation, and broken links may lead them to continue searching, so clean up your existing site and decide if it’s time for a new one. Remember, your website can affect some of your search result rankings, so if it’s time for a complete renovation make sure you explore your options. There are many template solutions for a search engine optimized and mobile-friendly process server website. One sure-fire way to experience business growth is to expand your services. Whether it’s becoming a certified notary, a private investigator or offering more advanced skip tracing services there are always opportunities to provide additional services. Make sure you find creative ways to let your clients know you’ve expanded, and give them the opportunity to utilize your new services. A crucial step in growing your business is to get your name out there. Take it one step further by targeting major clients with the potential for consistent work. Brainstorm creative ways to target these clients, like hosting a wine and cheese party at a local law office or bringing treats to paralegals and legal assistants. 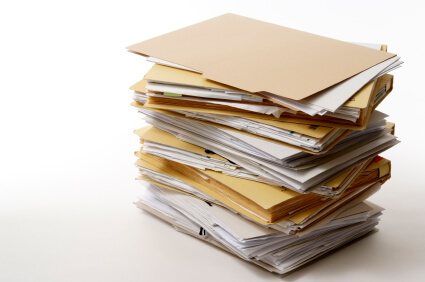 Just make sure you include your business information! Before you expand, check in with your repeat clients. Be sure to thank them for their business, and contact them to find out if there’s anything you can do to improve service. Ask specific questions, like what more you can do to help and what problems you can help them solve. It’s also a good idea to have your calls forwarded to your cell phone when you’re out of the office. Repeat clients might leave a message, but most new clients will work with the first person who answers the phone. One of the key tools for doing your job well is communication, especially when there is an issue. Clear communication is one of the best ways to build trust and lets your clients know they can count on you. Make sure you are handling complaints, staying organized, and keeping your turn-around times reasonable. If you continually exceed expectations you are more likely to get repeat business and referrals. Display your company contact information, including your logo, prominently on all correspondence – envelopes, letterhead, faxes, affidavits, and the signature file of your email. This is a simple and inexpensive way to repeatedly expose your business to clients and colleagues. Include your company name, toll free number, fax, web address, email, etc. Reinforce your services, and include a tagline specific to the services you offer. Growing your business is not exclusive to expanding your services and getting more clients. Look for opportunities for improvement within your business. Invest in tools, technology and marketing that will help streamline operations, enhance business-client relationships, and help get you in front of your clients. Remember, it takes money to make money, so make sure you invest in effective marketing that will generate a return. All successful companies have annual, monthly and sometimes even weekly and daily goals. Write down your goals and share them with your staff and anyone who will hold you accountable. Studies have shown that by writing your goals down and sharing them with other people you are more likely to achieve them. It’s also important that your goals are clear, measurable and realistic as well as ambitious. Growing your process serving business takes time, but with persistence and the right tools you should find yourself with more business by the end of 2017. If you adapt to changes in marketing and advertising and constantly look for opportunities for improvement, you will likely experience significant business growth and become a leader in your industry. Get your 2017 marketing plan started with great, affordable products. Contact your PInow marketing consultant today at (888) 997-4669.